The Gilroy Unified School District was slapped with two lawsuits Wednesday on behalf of two students who have accused a former teacher, who was arrested in April, of sexual misconduct. Douglas Le was taken into custody on suspicion of sending children sexually inappropriate material online. 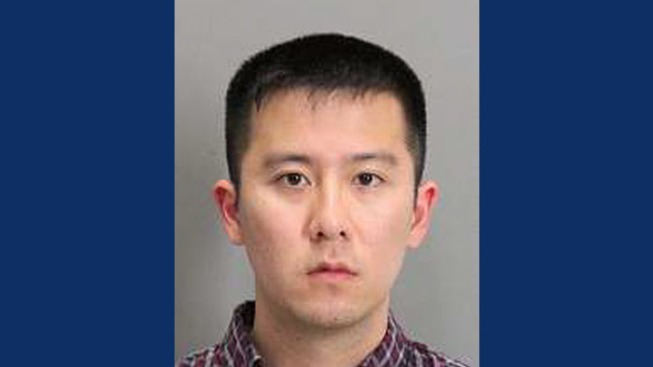 The former Gilroy High School chemistry teacher allegedly posing as a young girl to get other students to send him sexually explicit photos. Santa Clara County District Attorney Jeffrey Rosen has not yet charged Le with any crime. That didn't stop high-profile attorney Gloria Allred, however, from slamming district officials for failing to protect students from the predatory teacher. "Our clients, who are children, were seriously harmed and impacted by GUSD's failure to protect them from verbal, physical and sexual harassment by their teacher," Allred said at a news conference. Allred filed one lawsuit against the Gilroy school district in April. She filed two more Wednesday because additional victims came forward, saying that Le harassed them and sent them inappropriate text messages. Despite being aware of the texts, district officials failed to rectify the situation and neglected to keep students safe, Allred claimed. Celest Benn told reporters in May that she complained about Le in 2014. But no one wanted to hear about what she calls sexually-explicit conduct directed at her 15-year-old daughter. "They should have taken me seriously. They should have done something," Benn said. "The principal would not see me." Le stayed at Gilroy High School after Benn spoke out, and the woman was forced to have her daughter transferred to another school. Allred stressed that the school district needs to be held accountable. "We allege negligence, negligent supervision, negligent retention, emotional distress, sexual harassment and gender violence," Allred said. The Gilroy schools are on summer break and the superintendent and district spokeswoman did not respond to NBC Bay Area's requests for comment. In April, Superintendent Deborah Flores told reporters that district officials were disturbed by the allegations, but did not have proof of any crime. The District Attorney's office is reviewing the case against Le. An arraignment has been tentatively scheduled for next week in case prosecutors decide to file formal charges.